Suzuki Motorcycle recently launched its first sub-1000cc naked street sports-motorcycle in India. The manufacturer introduced the Suzuki GSX-S750 with a price-tag of at Rs. 7.45 lakh (ex-showroom, Delhi). 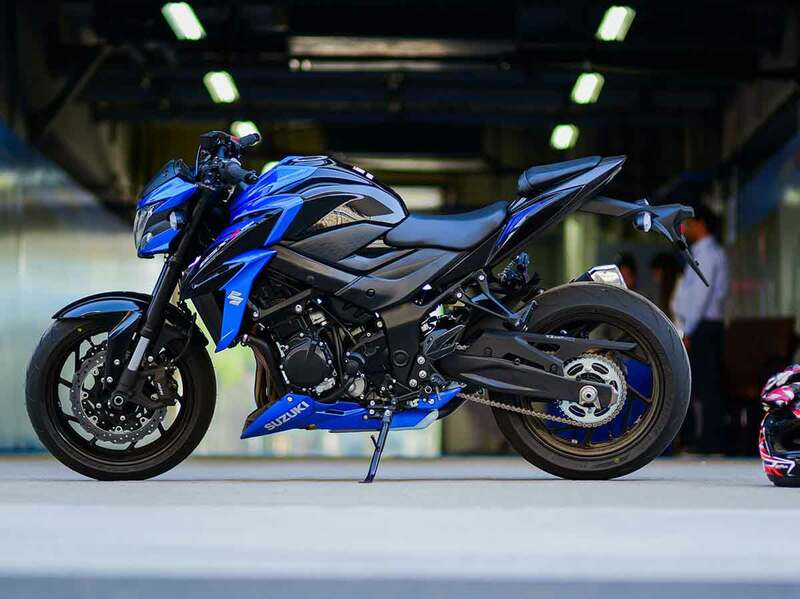 The Suzuki first showcased the GSX-S750 at the Auto Expo in February 2018. However, it reached the showrooms in the Indian market after about two months. The GSX-S750 happens to be Suzuki's first locally assembled motorcycle in the sub-1000 cc segment. The new GSX-S750 carries forward the legacy of the GSX series which features the cues from its elder sibling, the Suzuki GSX-S1000. The Suzuki GSX-S750 has a 749 cc in-line, four-cylinder, liquid-cooled engine that produces 113 bhp at 10,500 rpm and peak torque of 81 Nm at 9,500 rpm. The motorcycle gets a 6-speed gearbox. The suspension comprises of 41 mm USD Kayaba forks at the front and a seven-step pre-load adjustable mono-shock at the rear. Twin disc brakes at front and a single disc at the rear along with Nissin sourced Anti-Lock Brakes (ABS) carry out the braking duties. The riders will like the new Suzuki GSX-S750 as it offers limited electronic intervention. Thus, the ride becomes a bit simpler and the rider gets more involved while riding the bike. The GSX-S750 also gets a traction control system with three-modes that optimizes the power output depending on the riding conditions. In terms of design, the Suzuki GSX-S750 borrows the design cues from the GSX-S1000. It features a sculpted fuel tank and edgy tank shrouds. The bike has vented front fender, a light rear fender, and molded mirrors. The headlight comes with a halogen bulb with LED DRLs on both sides. The tail light has a full LED that seems to have come from the GSX-S1000. The forward-leaning lines on the bike, right from the headlight to the tail section, will help to reduce the aerodynamic drag. The bike also gets split seats and offers Bridgestone Battlax Hypersport S21 tires. Suzuki Motorcycles claims a fuel economy figure of 20.4 km/l for the GSX-S750. With this price-tag, Suzuki GSX-S750 competes with the likes of Triumph Street Triple S and RS, Ducati Monster 797, Yamaha MT-09, and the Kawasaki Z900. Here comes the All New Camry …! Maruti Suzuki Ignis: Igniting the adventure in you…! !